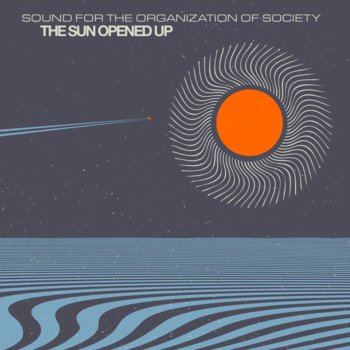 PJCE records is proud to present a new album by the wildly eclectic avant-garde ensemble Sound for the Organization of Society. This group, co-founded by PJCE Records founder Andrew Oliver, and featuring a diverse cast of composer-improvisers, recorded this, their third album, in 2009. The album takes the extremes of stylistic eclectism demonstrated on its last two albums to another level, with beautiful country melodies and African-inspired double-drummer grooves superimposed with dance-driven free improvisation, pieces using graphic notation, raucous Balkan party music, and a programmatic composition about death in the open desert. Originally formed by a group of students at Loyola University New Orleans, the group quickly took on a new character when the musicians were forced to evacuate by Hurricane Katrina. The majority of the band members found themselves at a house in Lake Charles, Louisiana, and reconvened in New Orleans 6 months later to record their debut album “India and Africa.” Soon thereafter, core band members who relocated to Los Angeles and Portland began a yearly West Coast touring schedule with the addition of new musicians from those cities, including a second album “Poem of the Underground,” which was well recieved by the jazz press, All About Jazz Italia calling it “The New Orleans of the new millenium.” This new album, “The Sun Opened Up,” was recorded at the culmination of their final tour in 2009, before various life events once again scattered the band members to diverse new homes in Texas, Germany, England, and elsewhere. The album represents the final chapter in the band’s existence and documents the group at the height of its most raucous group dynamic.